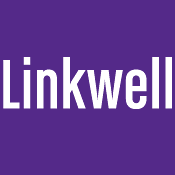 Clients choose Linkwell Services because of our customer service and our balanced approach to web investment and expected return. Over the years, many long-lasting client relationships have resulted from our excellent personal service and reasonable fee structure. Whether it's a small task, large project, planning, monitoring or maintenance, Linkwell provides flexible solutions and quick reaction times to respond to your firm's needs. Our talented team of design and technical experts allows us to assign the right people to the right projects, only when you need them. Whether you're developing a new logo, creating marketing collateral to complement your web presence or launching a new website, we put the right resources to work for you. Our fourth largest client found us on the web and was so impressed by the new site that they called out of the blue. It conveyed who we were and what we could do for our clients.